Media Monkey Mind offers more individualized designs for customers that desire a more unique web presence. Custom website designs start at $1250 and include all the standard turnkey items and can be greatly customized. More customization such as increased content, copy writing assistance, additional pictures, etc. * Custom websites must be paid half in advance either via PayPal, check or cash. Remainder due when website is completed. Media Monkey Mind can normally turn custom sites out in 1-4 weeks depending on complexity – rush service available! 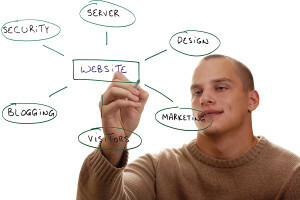 Custom web sites provide unique web presence and can be highly customized to match the tone or look of the company. Items can be added to all of our custom website designs as the customer wishes on an a la carte basis. Media Monkey Mind prefers to give more of a package price based on the overall complexity of project, the customer goals and other factors, so we don’t have an item by item price list. All custom website designs start with a consultation to learn more about each customer and what their goal is with their new website. After getting a better understanding of the web goals, Media Monkey Mind can provide a solid estimate and costing for the project.